EAST LANSING — Imagine, nearly 1,000 mechanics at Michigan State University, and not a single wrench in sight. Well, these aren’t really mechanics — they’re experts on the science of mechanics, which sits at the intersection of physics, mechanical engineering and mathematics. More than 900 mechanics practitioners from around the world have gathered at MSU this week to continue the examination of why material objects behave as they do when the object is in motion or at rest. 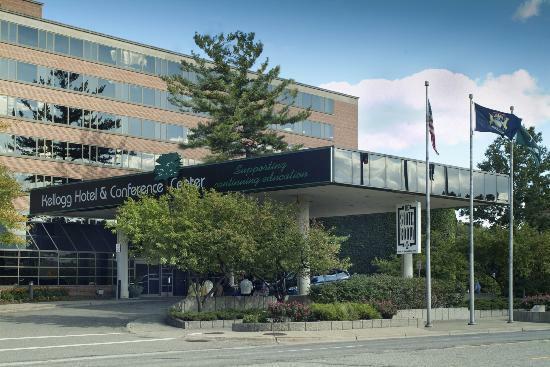 MSU professors John Foss and Tom Pence are co-chairs of the 17th U.S. National Congress on Theoretical and Applied Mechanics at MSU’s Kellogg Center. Commissioned by USNCTAM, the 2014 conference continues the work of previous congresses. Penn State University hosted the last event in 2010. The 18th congress will convene at Northwestern University in 2018. Pence said it is appropriate for the congress to return to Michigan, with its strong industrial history. The 1954 congress was at the University of Michigan in Ann Arbor. This is the first time MSU has hosted the national meeting.